Health chiefs have apologised after a 61-year-old woman with suspected cancer of the womb was told she would have to wait “two to three months” for an emergency examination at hospital. Mary Henderson, of Gairloch, was left shocked when she was told by her GP that she could potentially have cancer. But her initial worry escalated to anger after discovering she might have to wait months before an examination to find an accurate diagnosis. 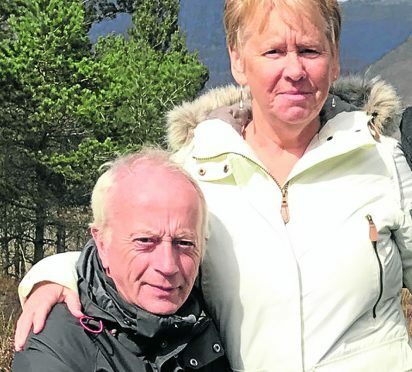 However, NHS Highland has now apologised and confirmed an appointment for Mrs Henderson – although it is still more than six weeks after her initial visit to her doctor, which her husband Peter, 64, has blasted as “ludicrous”. He said: “We are sitting here worried sick not knowing whether or not Mary has cancer. The couple’s ordeal began on October 15 when Mrs Henderson fell ill and went to her GP, where the doctor was concerned one possible outcome was that Mrs Henderson could have cancer of the womb. Mr Henderson said: “[She] arranged with Raigmore Hospital Gynaecology department for an emergency appointment and reassured us that we should get a letter or phone call within the next few days, and if we hadn’t heard by two weeks to get back in touch with her. “Two weeks passed with no contact. The doctor contacted the hospital again to be told that we may have to wait for two or three months before an emergency appointment could be made. He then turned to Mr Mountain for help and, when NHS Highland was contacted by the Press and Journal this week it was confirmed an emergency appointment had been made for November 27. An NHS Highland spokesman said: “NHS Highland does not comment on individual cases. We can appreciate that any delay must be very distressing and we have been in touch with the patient to apologise and to confirm their appointment. Mr Mountain said: At times like this a prompt response from NHS Highland would have allayed concerns – but sadly, they were somewhat slower than they usually are.